Personalized Alphabet Name Baby Kids Wood Picture Frame. This is the most cutest educational Baby or Kids Picture Frame makes an excellent addition to your little one's bedroom. 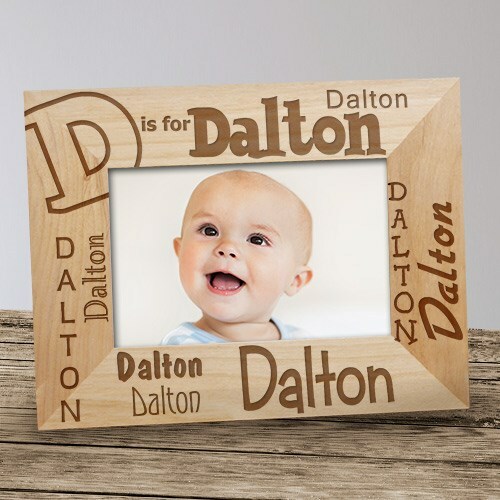 Your precious child will always know the first letter in their name with this picture frame. This picture frame is also wonderful for the Grandparents plus the Aunts and Uncles.